Good movie that gives the details of World War I from the perspective of the trenches of northern France. Except it gets repetitive with the dialogue and setting after awhile. 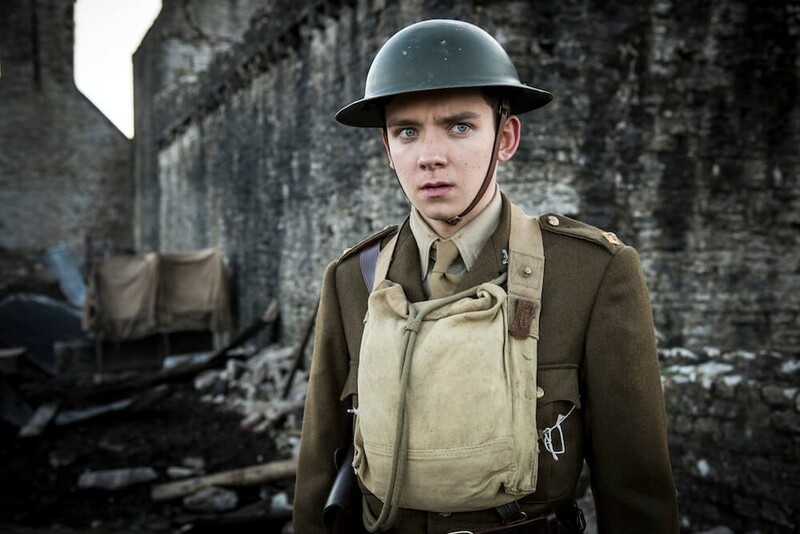 Journey’s End has finally hit theaters, and brings us another World War I movie. 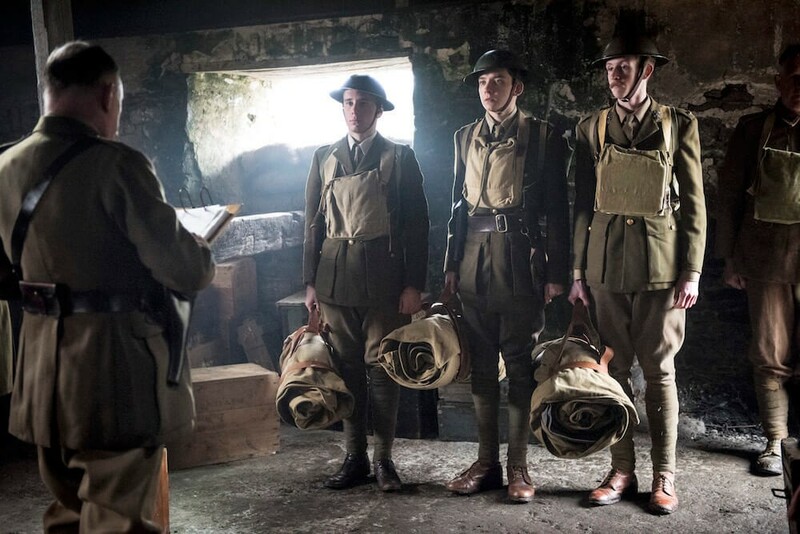 Journeys End is the latest film adaptation of the book Journey’s End by R.C. Sherriff. It follows a British infantry company stationed in the trenches in northern France when the end of World War I approaches. The entirety of the movie takes place in the trenches as the British infantry comes to take its station for the week. With an impending German attack is expected to come any day, different infantries take up the trench every week hoping that it doesn’t come during the time they are there. 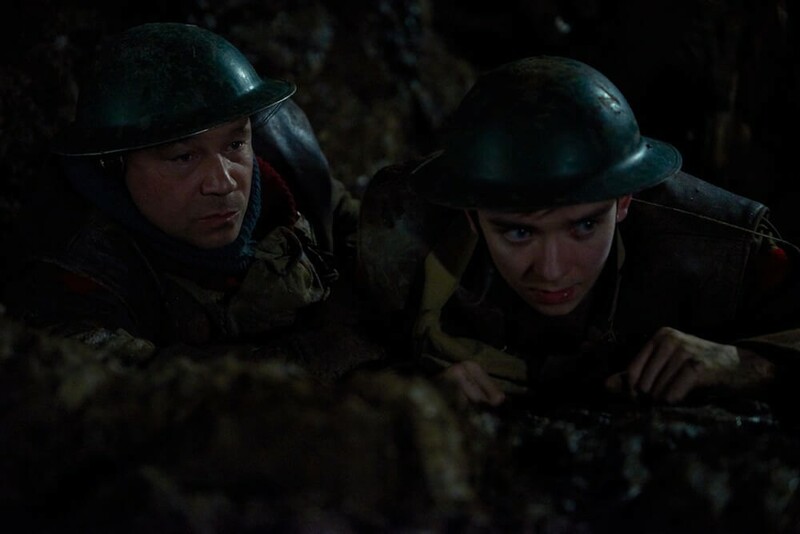 Being on the cusp of the attack, the tension in the trench is high and the levels of stress put onto these soldiers is brought forth in the movie. The performances put into this movie by everyone in it are spectacular. Every actor brings their characters to life through their expressions, actions, and demeanor. Even characters that do not have many lines in the movie are easy to tell apart from other characters. While you may not come away from the film remembering the names of every character you will for sure be able to tell who is who while on screen. 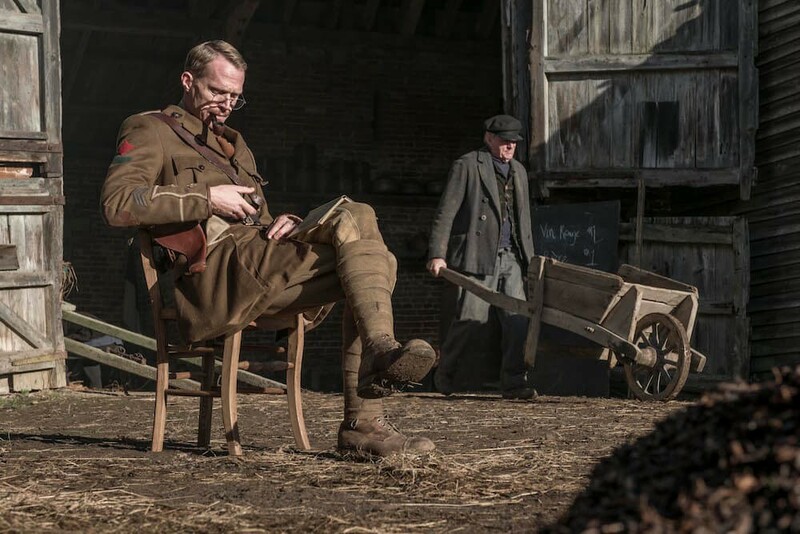 Especially at the moments where tensions are high, or the soldiers begins to get delusional due to the circumstances of the trenches, the actors portray these characters and their emotions flawlessly. 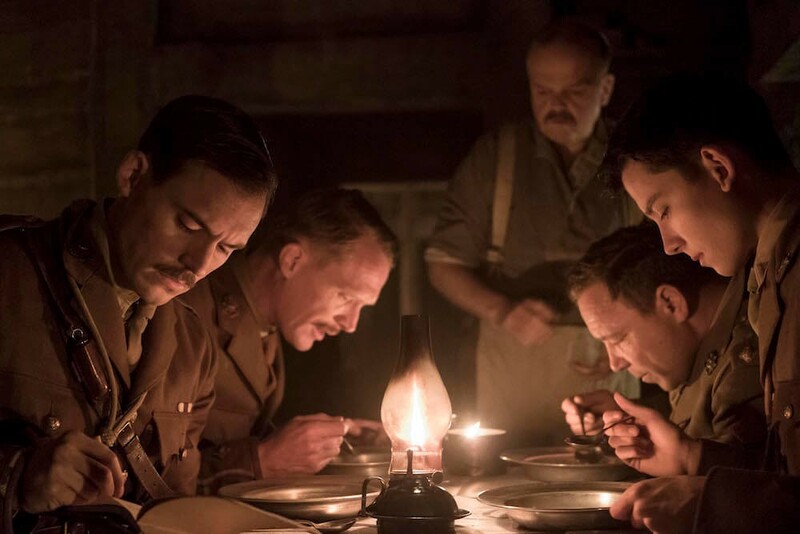 The focus of the movie though is in the trenches throughout the movie and the viewer is brought right to the battleground this all takes place in. The immersion factor into the trench stems throughout the entire movie, grabbing your attention. Sadly, though that is all that really grabs your attention as the rest of the movie is filled with boring dialogue and not much else. There are some quick scenes of action and suspense, but they are broken apart by long stretches of pure dialogue, and not even interesting dialogue. There are plenty of dialogue heavy movies that are good, the problem with this movie is the dialogue has a bad habit of repeating itself. This movie is by no means for everyone, and it will not be remembered by most who see it except for fans of war driven stories. Even after seeing it there are few scenes that I can remember to use as reference for the story, as the movie just goes by almost as a single scene. This isn’t necessarily a bad thing, but it means that no scenes really made too much of an impact on me as I could barely tell you the order that scenes occurred. This could be in part by the fact that the movie takes place in the same setting, and every part of the trench looks like every other part of the trench. There are also not very many scenes in which anything happens, as I said before. The movie goes from scenes of people talking in the trenches, to another scene of people talking in the trenches. While the setting is very well made, nothing makes the parts of the trench very unique. There is a brief scene where they leave the trenches, but by the time you realize that the setting has changed, they are back at the trenches. I will take a moment to applaud this scene though, as this scene alone tells more of a story than a lot of the rest of the movie. The use of panning and jumping around to people screaming and running shows the true chaos of the war they are involved in. Just for this moment the movie takes a turn to show the real thing that is feared throughout the movie. Even the fact that they lose as well as win in this scene, and the way that the different characters handle the events following this scene show the testament to the acting ability of all involved. The scene made me wish there were more like it, and hope that the movie would take a turn to more of this, but that does not happen. If the trailers for this movie interest you, or you want to see a realistic approach to the days in the trench that the British infantry then this movie is for you. Otherwise, this one is probably a pass until it hits a streaming service. There are some good scenes in this movie, but they are surrounded by so much nothing it makes it hard for this to be a recommendation for everyone to see. If you love dialogue heavy movies though, this might be another good one to check out as it does have some great performances with the dialogue, and puts action to the back-end.